He ain’t heavy, but his new shed is: helping my brother with a build, after Hurricane Harvey – Own Less. Do More. Let me start by telling you what we didn’t do. 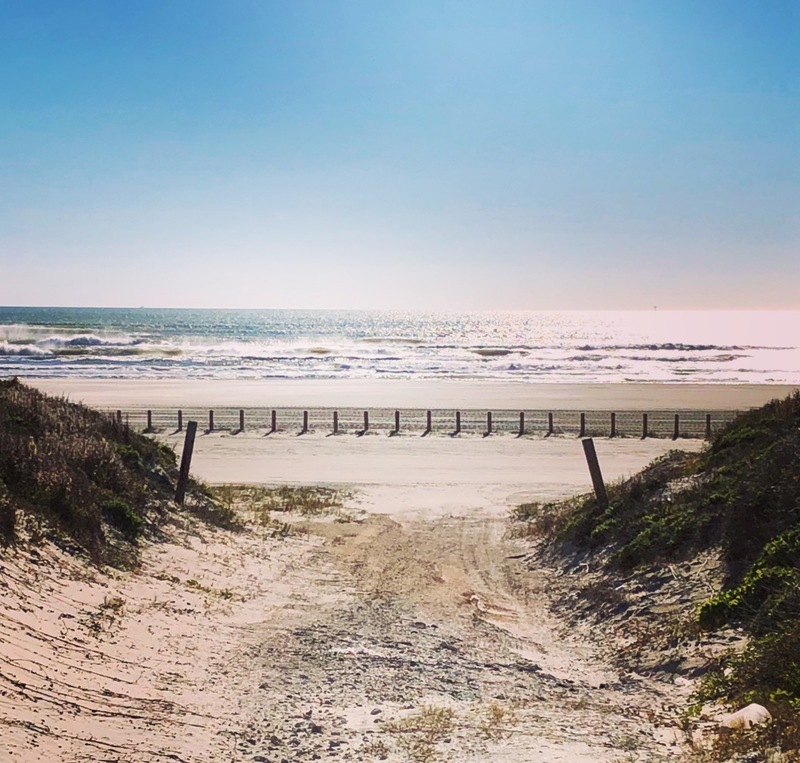 I don’t want anybody to get the wrong idea: We did not go rolling into Port Aransas like white knights on horseback to help rebuild the town — although that was kind of my original intent in the immediate aftermath of Hurricane Harvey. See? Although we thought we were going to be rebuilding his fence, which had been damaged by the hurricane, needs dictated a storage shed as top priority. While he and my sister-in-law continue to search for a new location for their shop, some of the shop’s contents are taking up a significant chunk of their garage space — space they need for supplies to rebuild the fence and fix other damage. Make sense now? So here’s what we did do. We cleaned and repainted some siding on the house, which looked pretty dinged up after having who-knows-what-all hurled at it during Harvey’s 110-132 mph winds. And with the help of several construction/renovation experts in the family — including our 20-year-old son who drove down from Austin, and our 22-year-old son who flew in from Washington — we built a shed over four days, to the point that my brother and sister-in-law can handle the finishing touches themselves. It was our family Christmas Vacation, just delayed to January because of our jobs at Amazon. It was the first time all of us had been together in more than two years. And it was exactly what we wanted. 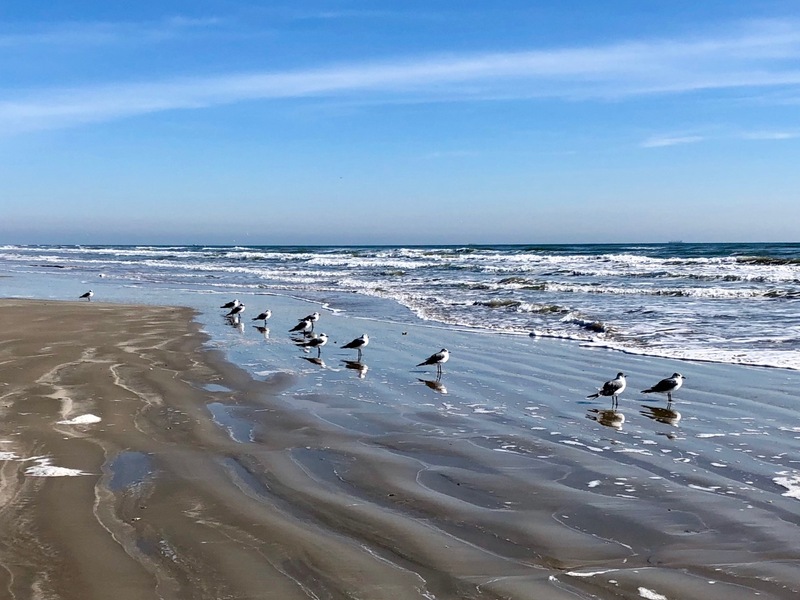 For those who’ve never heard of Port Aransas, Texas, it’s a quirky little beach town just east of Corpus Christi, on a barrier island along the Gulf coast. 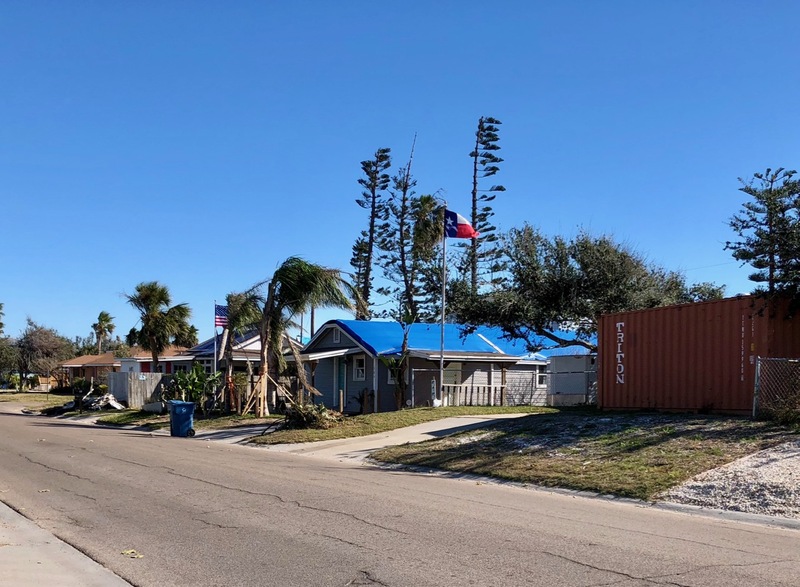 RV parks in town have reopened, and seemed to be doing booming business, with what we surmised to be a combination of regular Winter Texans, temporarily displaced Port A residents, and workers who have been hired or are volunteering for rebuilding efforts. And what do I mean by quirky? Well, scenes like this weren’t unusual even before the hurricane. Yes, you can drive on the beach, and also camp overnight in an RV or a tent. But don’t just show up. An inexpensive permit is required, and there are restrictions on location and length of stay. You can find all that information right here. How bad was the damage from Harvey? Here are some numbers from the Island Moon, in an issue published just over a month after the hurricane hit. 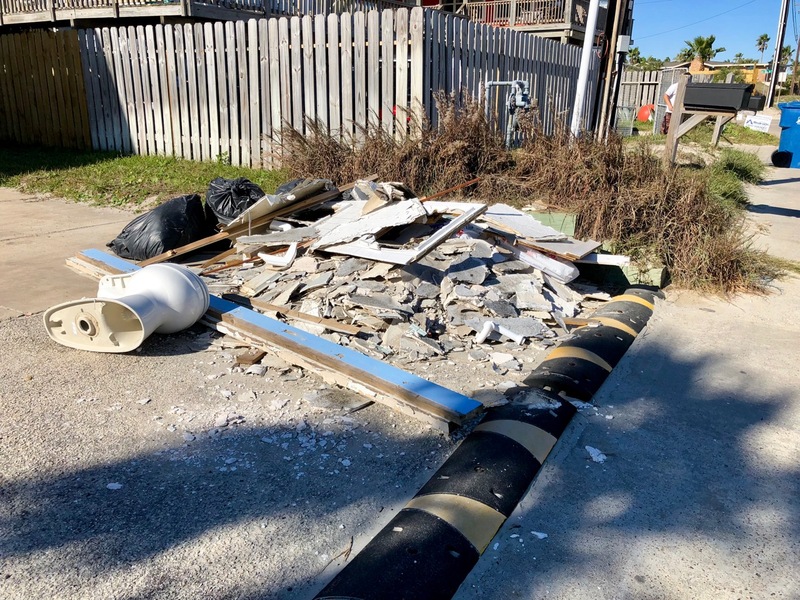 Further statistics, including a staggering amount of debris removed from the island, are in Mayor Bujan’s Facebook post dated October 2, 2017. What’s Port A like now? It is a town with an already strong identity, in the process of repairing itself. The sights and sounds of renovation, regrowth, and rebuilding were unmistakeable, unavoidable — and encouraging. 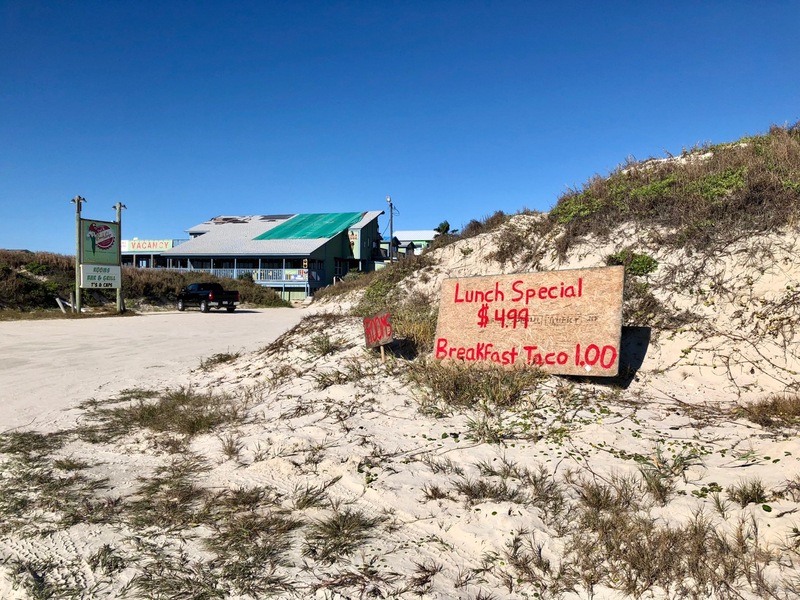 Some of our old favorite places like the San Juan Restaurant, Gratitude, Irie’s, Stingray’s, and Winton’s Island Candy have reopened, and more businesses will reopen as repairs are completed. But as mentioned in the graphic above, some will not return at all. 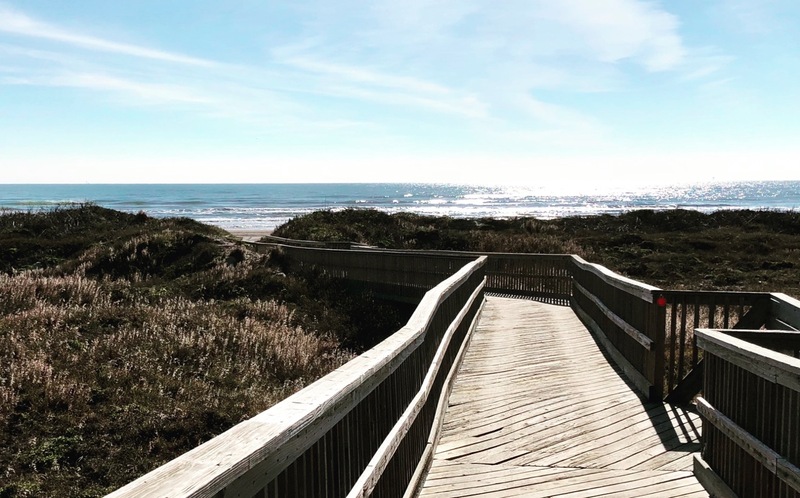 We have no doubt that new friends — and just about everyone in Port A is your friend — will bring fresh ideas and establishments to take their place, and we look forward to our next visit! Scenes like this are still common on sidewalks, although my brother assures me that this is nothing compared to the debris piles that lined the streets in September. And if the town didn’t have an official flag before, it does now, at least temporarily: the blue tarp. 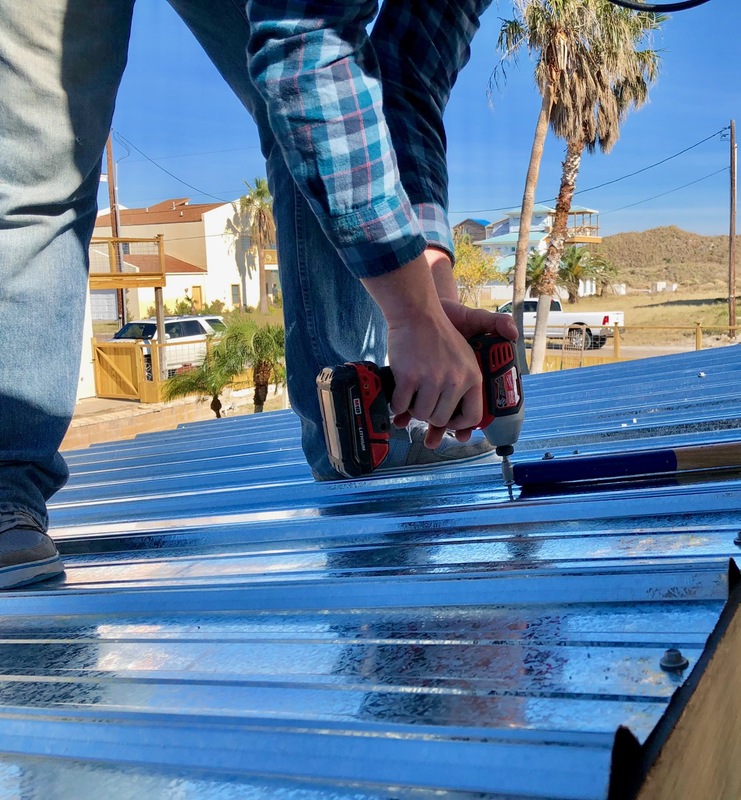 They’re festooning buildings all over town, because as you might imagine, roofers are in high demand and hard to find at the moment. Visit, and spend money. 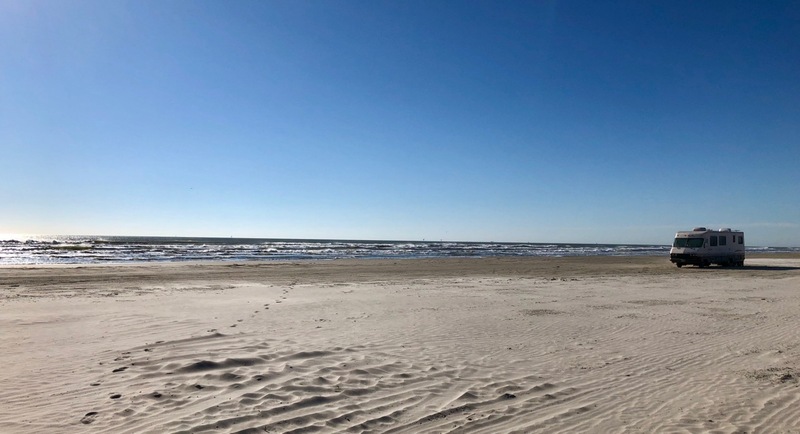 Many hotels, RV parks, restaurants, and shops have reopened, and Port Aransas needs your business! Or use your internet search skills to find ways to donate your time, skills, money, and/or supplies. 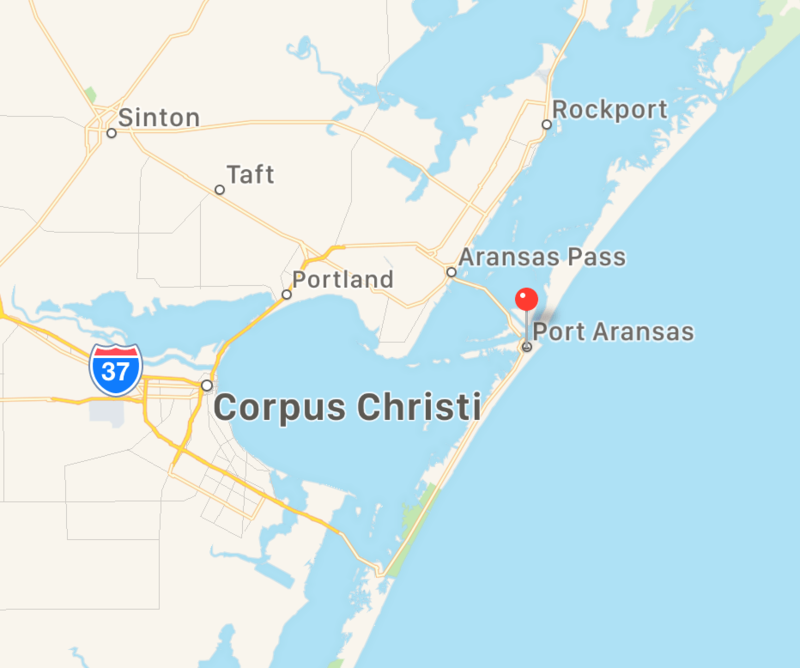 As ever, research any charitable entity before you commit your dough, although I will help get you started by pointing you toward the Rebuild Port Aransas Facebook Page, which seems to be a locally run clearinghouse for relief efforts. And finally, watch this 3-minute video. 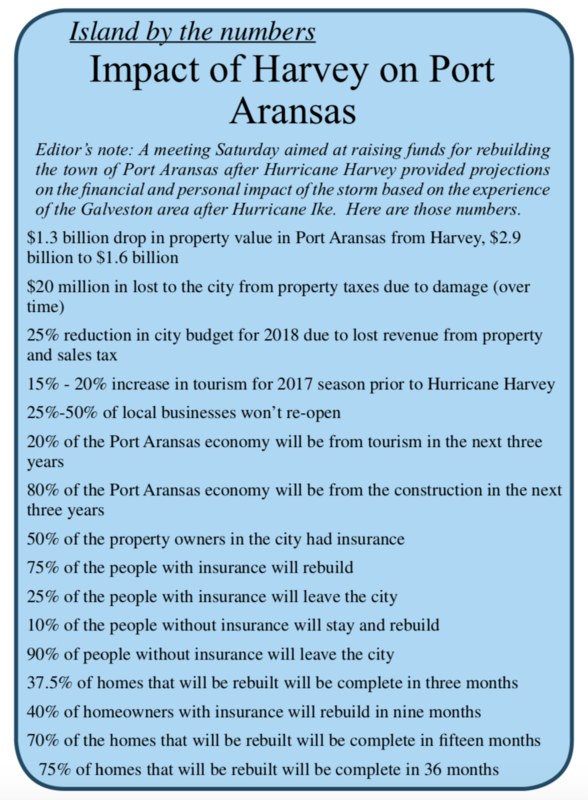 It shows the extent of Harvey’s destruction, and says a lot about the strength of the people who call Port Aransas home. Author’s note: This post was unsolicited, and I was not compensated in any way by any entities mentioned above. I do not represent Rebuild Port Aransas or SandCastleMinistry.org (appears at end of video in link above), nor should my mention of them be considered endorsements. All opinions are my own. Page not found – Own Less. Do More.